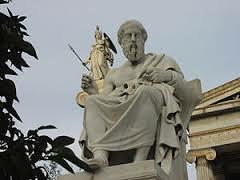 For centuries, people around the world have benefited from the ancient wisdom of Socrates. 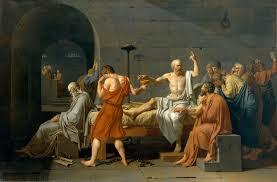 One of the greatest Greek thinkers of all time, Socrates lived a principled life in Athens from 469 B.C to 399 B.C. Even though he died almost 2500 years ago, there is still much we can learn from him about how to reduce stress in our lives today. Much of our stress today comes from not doing these four things. When we don’t truly understand ourselves, as human beings, we can fall prey to fanciful ideas that have little connection to reality. When we don’t understand the true sources of our emotions, for example, we can suffer prolonged emotional upsets that are not really necessary. When we don’t understand the limitations of dualistic thinking, when we overestimate the correctness of some of our deeply held beliefs, or when we mistakenly assume that the world works in simplistic cause/effect ways, we can end up believing in falsehoods that undermine our happiness, our health, and our overall well-being. When we fail to challenge certain widely held, but false, beliefs (conventional wisdom) we can end up experiencing stress as a consequence. For example, failing to question the widely held assumption that stress is an unavoidable part of modern life is particularly costly. Also failing to recognize that there are considerable drawbacks to managing stress keeps us from searching for, and finding, even better coping strategies. Then there’s the challenge of thinking for ourselves, which is much easier said than done. Sure, we are all very capable of thinking for ourselves, but what can we say about the quality of our thinking? If the quality of our thinking really as good as we assume it is? If it’s not, this can lead to lots of unnecessary stress in our lives. Clear thinking and solid reasoning are becoming less and less prevalent in our society today, and our stress levels may be rising as a consequence. And finally, we come to the matter of telling the truth. All you have to do is notice the level of political discourse in our country today, and you’ll get a pretty good read on how well we’re doing in this department. Suffice it to say, Socrates would be appalled. And if you think the lack of honesty and integrity in the political arena isn’t negatively affecting all the others, including your own ability to recognize and tell the truth, well then maybe you don’t really know yourself all that well, maybe you aren’t willing to challenge conventional wisdom, and maybe your thinking isn’t as clear as it could be. This is just a sample of what we can learn from Socrates about how to reduce stress in our modern lives. In future articles, I’ll explore more of his lasting wisdom, including additional ways he can help us reduce our stress.